GALION —Christ United Methodist Church is hosting a free Vacation Bible School program July 23-27 at the church, 130. E. Walnut St. Bible School is 6-8 p.m. each evening. Dinner will be available at 5:15 p.m. Call 419-468-1504 for information. GALION — St. Paul United Methodist Church, 746 Cherry St., Galion, will have a Community Outreach Dinner on Wednesday, July 26t, from 4:30-5:30 p.m. Dinners are always the last Wednesday of the month. Donations will be accepted. Carry-outs will be available. There is no home delivery. The music lineup includes: In His name at 1 p.m.; Martin and Danean at 2 p.m.; Open Arms Church at 3 p.m.; Mike Bomgardner at 4 p.m.; Frank Boyd, Jr. at 5 p.m.; RACE Ministries (Dale Powers) at 6 p.m.; Healing Sons at 7 p.m.; Back to Eden at 8 p.m.; and Created Music Project at9 p.m. 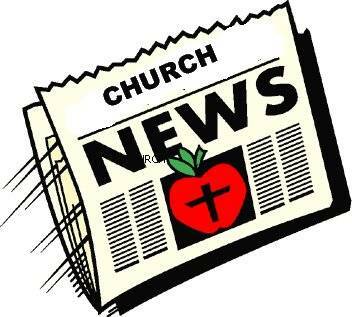 The church is asking for donations of items to help supply the teachers of Crestline. Donations may include pencils, pens, lined paper, Clorox or Lysol wipes, hand sanitizer, tissues, paper clips, masking tape, packing tape, standard size staples, paper towels, dry erase markers, and anything that teachers purchase for the classroom from their own funds. This is a great time to stock up because the back-to-school sales have already started. Items can be dropped off at the church anytime, or bring them to the Music Fest on. Aug. 26. Call 419-566-0201 for information.